Want to work like a pro? 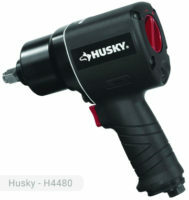 Then you should also have the tools that professionals prefer such as the air tools offered by Husky. Husky Siphon Feed Spray Gun will definitely make you feel like a pro because of its stainless steel needles that makes it undoubtedly reliable. It also has precision air spray caps for perfect pain atomization. With these features, you can now create the most complicated of patterns and designs. This spray gun as a 1000 cc paint cup that is ideal for final fine coatings for certain applications such as the following: car refurbishing, industrial, wall painting, and woodwork. The size of the tip is 1.8 mm. which is perfect for small details. The recommended operating pressure is at 45 psi. Air consumption at this level is only 4 CFM. The spray gun has a siphon feed type. This is ideal if you are using a one airbrush per color, or one bottle per color set-up. It provides a very fine quality of coating that cannot be provided by other models. This can be used with latex paint but you have to make sure that it is thin enough as per the specifications dictated by the manufacturers. The viscosity of the paint should not be thicker than a pancake syrup. Aside from latex paint, the spray gun can also be used for water-based spray adhesives. Again, it needs to be thinned or cut. The unit, combined with an air compressor, has more than enough horsepower to perform your DIY projects. If you are building a deck, this unit can be used to paint the railing’s nooks and crevices. The finishing would be free from runs, drips, and errors. You may also use Husky Siphon Feed spray gun to shade stains on bare wood. The housing is made of aluminum for durability. It is lightweight making the spray gun portable. The spray gun only weighs 2.22 lbs. including the paint cup. 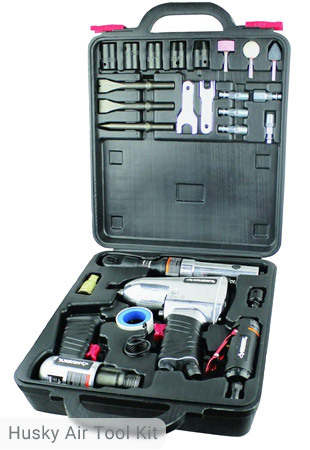 The package also includes a cleaning brush set and multi wrench. This Husky spray gun is easy to clean so it is not very difficult to maintain. You will never experience dripping or clogging that can be stressful. You only need to make sure that the can does not go empty because the siphon only goes about 2/3 down. The controls are located at the rear of the gun to ensure that both left and right hand operators can use it with ease and comfort. Also, the spray gun has a smooth trigger pull making it more user-friendly than other models. This is not a high volume-low pressure type of pneumatic tool because it does not have a gravity feed type. 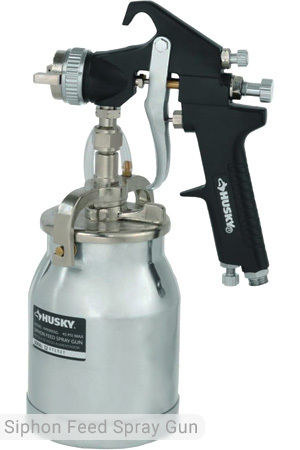 Husky Siphon Feed Spray Gun can be purchased at an affordable price of $49.98. 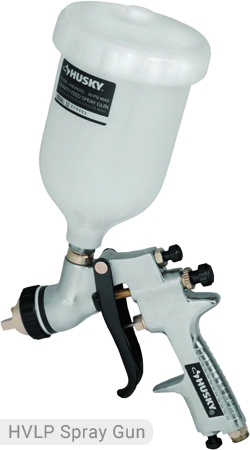 With this spray gun, your gallon of paint will definitely go a long way. Its performance will not make you regret the money that you spent in buying it. Again, if you want to be like a pro, buy professional level tools such as this one. 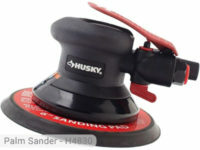 If you already own Husky H4930SSGA model or just want to buy it, feel free to share your review or ask a question through the form below. 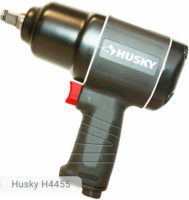 Husky Impact Wrench, H4455 – 1/2 inches, 650 ft. lbs. Husky Impact Wrench, H4480 – 1/2 inches 800 ft. -lbs. Why is this sprayer not usable out of the box? It does not fit the end of a pneumatic hose end!! Whats the point of needing an adapter when the pneumatic hose end is a standard?